Publisher: St. Martin's Press, Gordonville, VA, U.S.A.
Leaving L.A.'s Parker Center, Shane Scully and his wife, Alexa, agree to meet at home in one hour. Shane gets there; Alexa doesn't. This tale turns deadly, when in the middle of the night, he's called to a crime scene on Mulholland Drive, where the victim, who appears to be a gang member has been handcuffed and executed, gangland style. What's worse is that the victim's body is in Alexa's car. Her service revolver, which Shane discovers nearby, is probably the murder weapon. But Alexa is missing. As Shane desperately tries to find his wife, his leads take him into the frightening world of gangsta rap music and into the center of a feud between two record companies, both heavily manned by Crips and Bloods. At the center of this war is one of the most lethal adversaries he's ever encountered: Stacy Maluga, a trashy, beautiful Lady Macbeth-like white woman raised in Compton, married to a multi-millionaire rap mogul and known in the gangsta hip-hop world as the White Sister. Shane is no stranger to big trouble, but he's never had to face being a cop in jail with a hit out on him, while being smeared by urban activists as a "racist cop." Much, much worse than all that is the potential death of his beloved wife, Alexa. 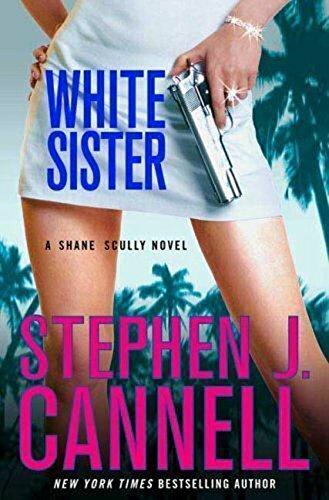 In the White Sister, he may have met his match in a powerful and media-savvy enemy who will stop at nothing to forge her own criminal empire. Leaving L.A.'s Parker Center, Shane Scully and his wife, Alexa, agree to meet at home...but Alexa never arrives. Then Shane's called to a crime scene on Mulholland Drive, where the victim, an apparent gang member, has been executed--and left in Alexa's car. Her gun is the likely murder weapon. THE OTHER Is his Nemesis. As Shane desperately tries to find Alexa, his leads point to a feud between two gangsta-rap record companies, both heavily manned by Crips and Bloods. At the center of this war is a ruthless, beautiful Lady Macbeth-like white woman raised in Compton. Married to a multi-millionaire rap mogul, she is known as the White Sister. Shane is no stranger to big trouble, but he's never before been smeared as a "racist cop" or thrown in jail while there's a hit out on him. Much worse is the unknown fate of Alexa, and the fact that in the mysterious White Sister--who holds the clue to a sinister conspiracy--he may have met his match. "A strong piece of fiction that leads readers...through the harrowing underbelly of L.A. "